A number of Cranmer Theological House courses are available online, which can be completed externally from the seminary. Cranmer Theological House is committed to the classroom environment as the primary method of instruction, as required by the principle of formation. Cranmer Theological House also recognizes that, for various reasons, students enrolled in a degree program may need to complete some course work outside of the classroom environment. Students who are enrolled in the M.A.R. program, completing the Th.M., or pursuing the Certificate in Anglican Studies may complete all courses via the External Studies program. M.Div. Students (only): The maximum amount of credit that may be obtained via either directed or external study may not exceed one-third (1/3) of the total number of credits needed to graduate. By providing several theological courses as External Studies options, Cranmer Theological House has made orthodox theological training available for laypersons on a wider scale. Individuals may also audit in-classroom courses. Students taking an External Studies course for credit must complete the seminary’s application requirements (below) and be accepted as a Cranmer Theological House student. When a course is ordered, the student will get an email with a username and password to access the online courses. To be eligible for credit, courses must be completed within 90 days of the initial acceptance email. Those who audit an External Studies course will not have direct access to the course professor but will be able to download all of the course materials. Individual Students: complete the Application Requirements (below) which includes online application, downloadable reference letter and information how to complete the process. 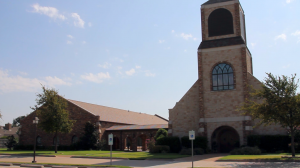 Courses for Parish Use: To request a DVD for parish use, the Rector should send an email to Dean Crenshaw. Complete the Online Application and submit it for review and approval. Request your official transcripts from all colleges/universities and ask them to send it to Cranmer House at admissions@cthexternalstudies.org. Download the Reference Letter online and send it to your references, once completed ask them to send them to admissions@cthexternalstudies.org. A personal interview may also be required. We’re here to help answer your questions. Fill out the form, we will get back with you shortly.